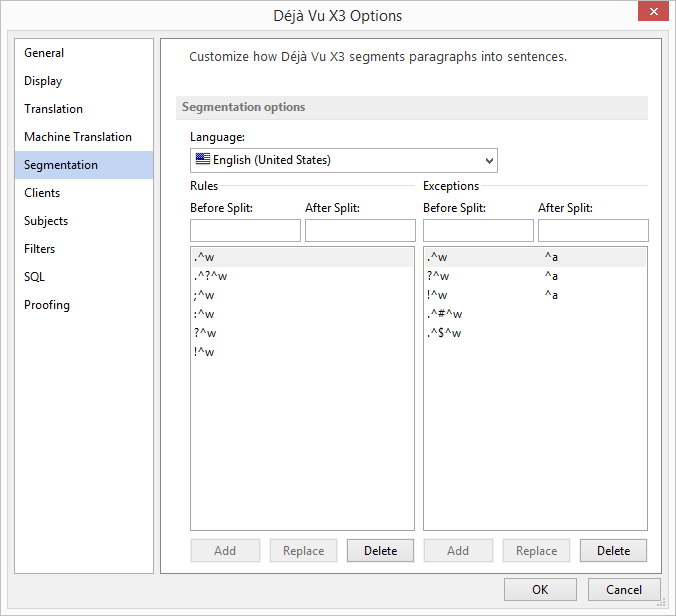 This article explains how to modify the segment delimitation rules in Déjà Vu. For a detailed explanation of what the segment delimitation rules are and how they work in Déjà Vu, read this article. 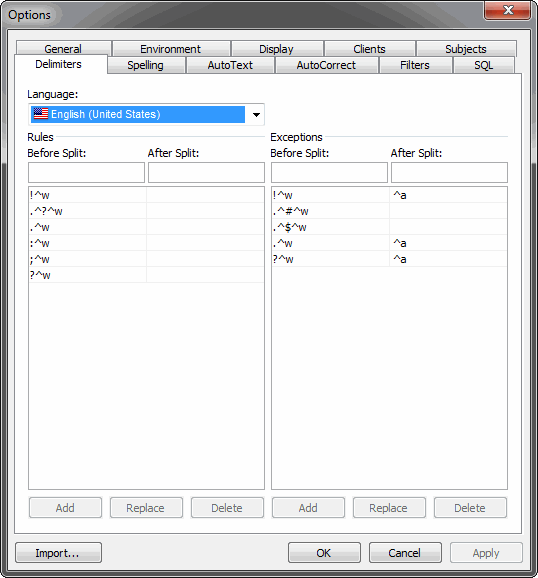 Access the menu option Tools>Options>Delimiters. The Delimiters tab is displayed with the source language of your current project. In the left part of the tab you can see the Rules, and in the right part the Exceptions to the rules. You can find more information about how the delimiters work here. Type the desired character and symbols in the Before Split and After Split fields. Once you have entered or modified your rule, click Add. Access the menu option File>Options>Segmentation. The Segmentation tab is displayed with the source language of your current project. Click the desired row on the table to select it.